Four years after Justin Bourque’s Moncton shooting rampage that killed three RCMP constables, police officers in New Brunswick are facing a new traumatic event that may have long-lasting psychological consequences, experts warn. 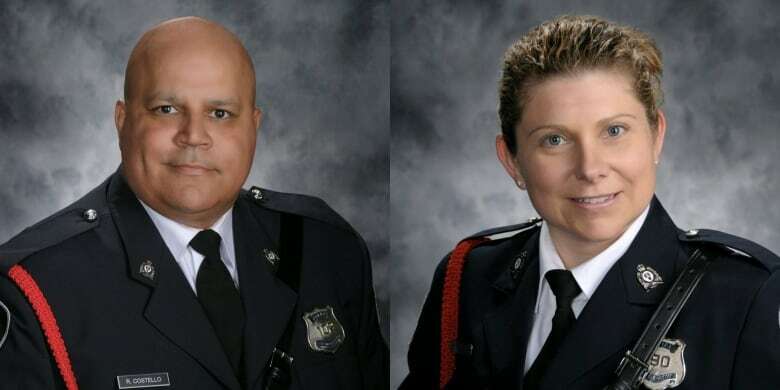 On Friday morning in Fredericton, police constables Robb Costello and Sara Burns were shot and killed while responding to a call at an apartment complex. Bobbie Lee Wright, 32, and her boyfriend, Donnie Robichaud, were also killed by alleged gunman Matthew Vincent Raymond, who has been charged with four counts of first-degree murder. One expert said that in the aftermath of a traumatic event, police officers can develop operational stress injuries (OSI), especially those who have seen both colleagues and friends killed in the line of duty. “It is important to understand that behind the badge, we have a human being,” said Katy Kamkar, a clinical psychologist with the Centre for Addiction and Mental Health (CAMH) in Toronto. CAMH defines an OSI as any persistent psychological difficulty resulting from operational duties such as law enforcement, combat or any other service-related duties. “We run away from trauma while [police officers] go towards it to face it,” said Kamkar, who is also director of Badge For Life Canada, an organization that provides support for police and corrections personnel dealing with psychological injuries. Post-traumatic stress disorder (PTSD) is one of the main operational injuries experienced by officers, she said, but other results of exposure to traumatic events can include emotional, physical and cognitive responses that are not necessarily recognized as PTSD. “We need to have an awareness and appreciation for other very known mental health conditions that officers might face such as depression and anxiety disorder,” she said. Canada had its first national survey looking at operational stress injuries among first responders published in 2017 in the Canadian Journal of Psychiatry. Of the 5,813 first responders who participated in the survey, 44.5 per cent “screened positive for clinically significant symptom clusters consistent with one or more mental disorders,” while Statistics Canada reported the rate for the general population at about 10 per cent. Police officers are the second most likely occupation in Canada to be slain on the job, after taxi drivers, suggests a Statistics Canada study released in 2010 that looks at police officers who were killed in the line of duty. Between 1961 and 2009, 133 police officers were killed in the line of duty in Canada, the study revealed, but that figure does not include other causes of death such as collisions involving police cruisers. 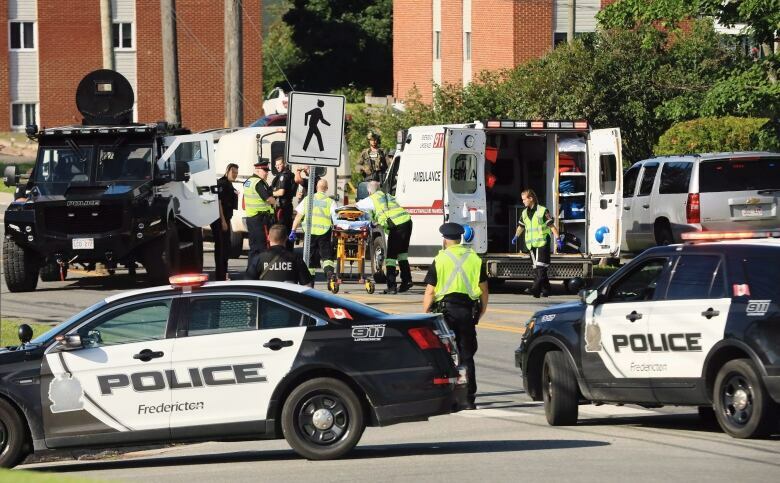 Incidents such as the shooting in Fredericton and the Moncton shooting in June 2014 “cause police officers to reflect on their career,” said Tom Stamatakis, director of the Canadian Police Association. For some officers it might mean the potential risks of being involved in these kinds of incidents becomes too significant to continue in policing, he said, adding that everyone reacts differently and that some won’t realize the emotional affects for a long time. Kamkar emphasized that it is normal for both police officers and civilians to experience emotional responses such as nightmares and increased irritability after going through a traumatic event such as a shooting. However, if symptoms continue or increase over time, interfering with day-to-day life, it is important to seek professional help, she said. “Services now have to move to a model where there are regular interventions,” said Stamatakis, mentioning that it takes away the stigma of having to ask for help and might reveal problems that officers face earlier on. “I think that there is an acceptance that there is an issue and that we need to manage it,” he said.